Our company only utilizes only the finest supplies for our windshield repair and replacement services. During the replacement procedure, our technician will remove the damaged windshield and insert a new one while using the most advanced materials in the auto glass market. All Hollywood Auto Glass repairs and replacements are performed by our skilled and certified technicians. 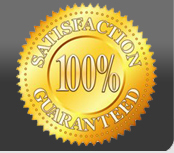 Quality is extremely important in the auto glass replacement service. All of our technicians undergo extensive training to ensure their knowledge and skills are up to par. Keep in mind that our town in Hollywood California has a ton of companies that claim to help you with you auto glass troubles, but they commonly fail to live up the high standards that the residents of our local area demand. We have always placed customer service as our company’s number one priority, and that is one of the primary reasons that we have consistently been ranked on top of all of the auto glass shops in the area for the past 20 years. For more information on windshield replacement, visit: https://en.wikipedia.org/wiki/Windshield.